An unusual, surrealistic adventure game developed by MarsLitGames and published by 1C Company. The main protagonist of Unknown Fate is a man named Richard. He is being taken to a parallel dimension. 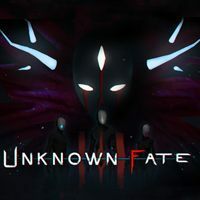 Unknown Fate is an unusual adventure game developed by MarsLitGames. The title was published by 1C Company on, among other platforms, XONE, PS4 and PC. Understanding the story is the key aspect of Unknown Fate for XONE, PS4 and PC. The player assumes the role of Richard, a man who was taken to a parallel, surrealistic dimension. During the unusual adventure the protagonist encounters various weird characters, animals and creatures from a different dimension. He also finds artifacts of unknown origin. There are many questions asked during the game and some of them remain unanswered. The action in Unknown Fate for XONE, PS4 and PC is presented by using a first-person perspective. The gameplay focuses on exploration, discovering mysteries of the oneiric environment and solving riddles based mostly on manipulating objects. Unknown Fate features polished, three-dimensional graphics. The PC version of the game supports virtual reality goggles. However, they aren’t mandatory for playing.